Just a fun little post here. My wonderful Mighty Mouse now has a new home. It's been living on ugly mouse pads for a while and needed an update. 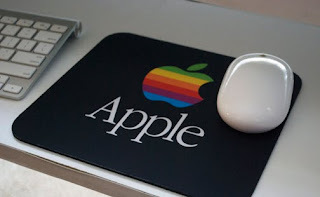 Welcome to the Apple Vintage Mouse Pad! Mighty is lovin' the new digs. I think my wireless keyboard is jealous.